Last spring, Al Jazeera America announced a partnership with Chicago-based Kartemquin Films (The Interrupters, The New Americans) on a six-part documentary series that will explore the hopes, fears and realities of low-wage American workers. The result, Hard Earned, slated to air beginning May 3, looks at the lives of five struggling families, representing a diversity of races, ages, industries and regions. Al Jazeera America began conversations with Kartemquin early on—even before the channel’s launch in August 2013—on how to make an impact with stories that dig deep below the surface of major contemporary social issues. The producing team at Al Jazeera America singled out Kartemquin for its renown for finding compelling stories and characters to both humanize social issues and foster a richer appreciation for them. "They wanted to work with top doc directors to build a brand," explains Justine Nagan, executive director at Kartemquin Films. "They initially called with an idea for Steve James [Hoop Dreams, Life Itself], one of our filmmakers, but he was unavailable for that project." After a few months of conversations, Kartemquin came back with a pitch for Hard Earned. James signed on as an executive producer, joining Nagan and Kartemquin founder Gordon Quinn. They, in turn, enlisted five directors who had previously worked with Kartemquin: Katy Chevigny, Maria Finitzo, Ruth Leitman, Brad Lichtenstein and Joanna Rudnick; Chicago-based filmmaker Maggie Bowman was named series producer. Al Jazeera America had originally pitched the concept of Americans living on minimum wage and later expanded the idea to encompass the working poor in America. "The recovery has been primarily comprised of low-wage jobs, so we thought that the implications of that change had a profound impact on individual families and communities and our whole country," Bowman explains. "It’s a ripple effect of working low-wage jobs and trying to get by; it affects all of us, really." Bowman has overseen the project from research through post-production. The process has included a story summit, in which the directors and experts meet at Kartemquin’s office to talk about the issues that low-wage workers face today. "Finding the right mix of five subjects was very challenging, and it took us longer than anticipated," Bowman admits. "We kept pushing until we found the subjects to whom we thought we would have good access, and whose storylines might develop over a pretty concentrated period of time. It was just about six months of shooting." "What is great about working with Kartemquin is that they are great storytellers," says Cynthia Kane, senior producer of the Documentary Unit at Al Jazeera America. "They are a fantastic team. Each story has a director attached to it; they find the heart and soul of the story and issue, and put a human face to what the issue is." There are certain differences in directing a series like this, as opposed to a one-off documentary. Ruth Leitman (Tony & Janina’s American Wedding), whose episode follows Emilia, a 50-year-old who is holding down three waitressing jobs, is accustomed to making character-driven films. "Having a project that was already funded made that part of it so different," she notes. "I could really focus on finding the subject and developing that relationship." Joanna Rudnick (In the Family) profiles Hilton, a 20-year-old food service provider who works 85 hours a week and lives in a trailer park garage with his girlfriend. 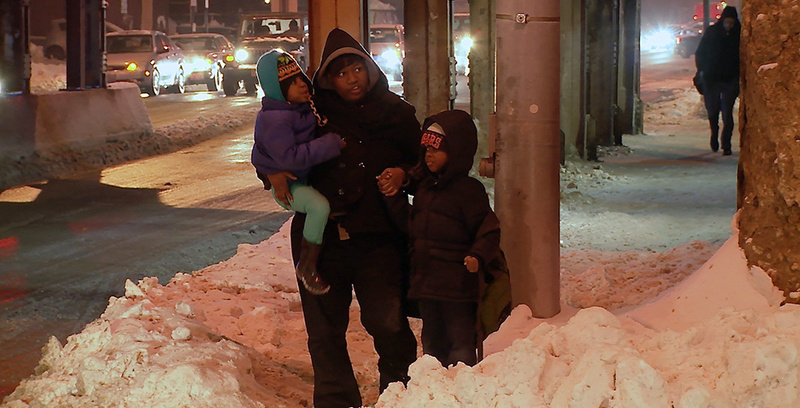 "This is what makes Kartemquin so unique," Rudnick maintains. "They understand that in order to find and develop a story, directors need to have a passion for their characters and the larger story. They are truly a filmmaker-driven production company. This ethos carried over into the series." One of the challenges for the filmmakers on the series was keeping up with the subjects and not invading their lives. "This story was incredibly challenging in many ways," Rudnick admits. "Hilton was working two full-time jobs when I met him, and it was difficult to find the time to film with him. At first, it was hard to even get him on the phone. I also was aware that time with us was time away from working or sleeping. He had so few hours to actually sleep between shifts." Social media became a way to keep up with subjects in between shoots. When the subjects moved and communication was lost, "We would Tweet them to know where they are or use Facebook as a way to communicate," Bowman says. Kartemquin Films is no stranger to the multi-part series format; its IDA Award-winning The New Americans aired on PBS in 2004. The structural approach to that series (interweaving storylines and longitudinal storytelling) is reflected in Hard Earned, in which three to five subjects are revisited in each episode. "We really thought that it makes each of these stories resonate more if you are able to compare a 50-year-old Italian-American waitress in Chicago with a 20-year-old immigrant working in the Google cafeteria in Silicon Valley," Bowman explains. "To look at their stories up against each other from one scene to the next in the same episode, you really have to start to reflect on some similarities and differences about achieving the American dream. We chose early on to not have these be stand-alone episodes that would focus on just one subject." The directors watched rough cuts, gave notes and had discussions with editors Liz Kaar, David E. Simpson and Bowman to shape the narrative. "Making a six-hour film in 15 months has been very exciting," Bowman maintains. "We have been trying to create a narrative arc for the whole series as well as an arc for each hour-long episode." Leitman agrees: "The delightful challenge is watching a film scene that will synchronize very well in juxtaposition to another scene from one of the other directors’ stories; it’s beautiful when these things come together." Leitman and Rudnick discovered unexpected qualities about their subjects during the six months of production. "One of the most surprising things about telling the story about someone who is so outspoken is the interesting dichotomy that I learned about her," Leitman observes. "She is outspoken, and at the same time humble and private. I’ve never had a subject in which those two things really co-existed." 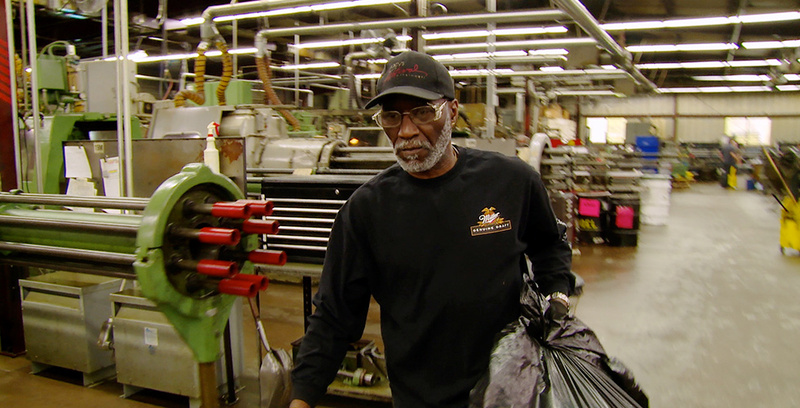 The hopes are high for both Kartemquin Films and Al Jazeera America that Hard Earned will connect with viewers through these stories of low-wage workers in America. "Audiences connect and realize what a large percentage of Americans is working in this way," says Bowman. "People will get invested in their stories pretty immediately and will follow them throughout six weeks," says Al Jazeera America’s Kane. "This could be a breakthrough to people who are not ordinarily doc viewers." Hard Earned premieres May 3 on Al Jazeera America. Tracie Lewis is a writer and producer.